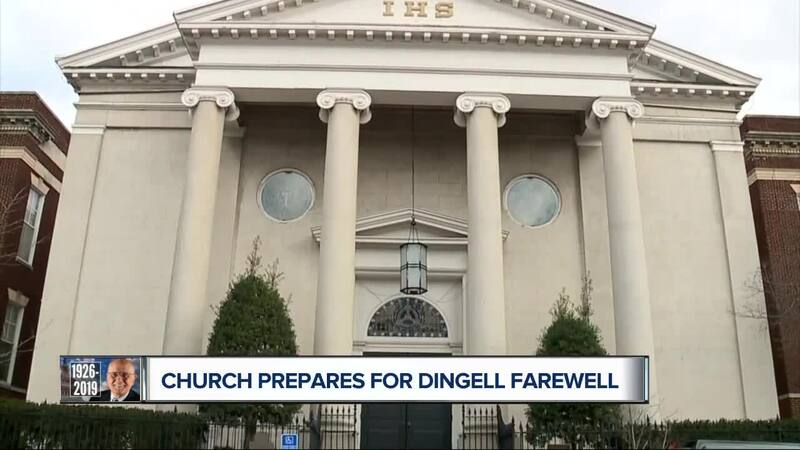 A Washington DC church is preparing for the final funeral for Congressman John Dingell. WASHINGTON, DC (WXYZ) — We are continuing to pay tribute to longtime Congressman John Dingell. It's been an emotional farewell so far for the Dean, with the second of two funerals taking place Thursday in Washington. Our nation's capitol was a second home to the political giant for decades and the city will say a final goodbye during a service at Holy Trinity Catholic Church. Carolyn Clifford looks at the preparations that are underway there in the video player above.